Mimi Flys: July Favourites - Plus the chance to Win them all! July Favourites - Plus the chance to Win them all! Friday's video has just gone live. 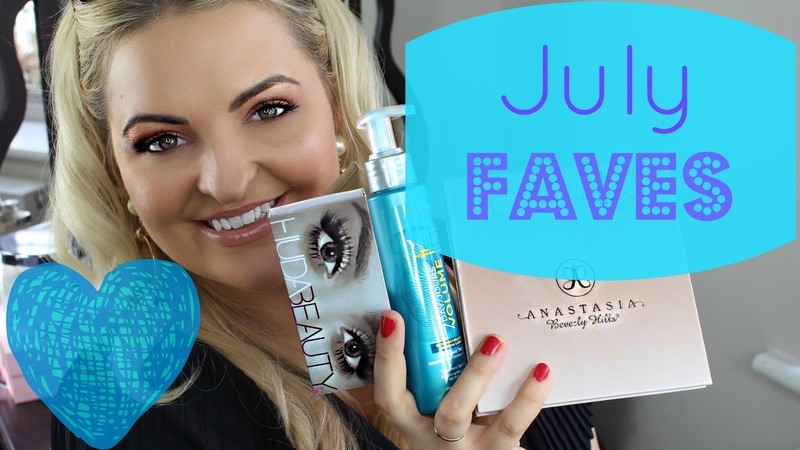 Its my Monthly Favourites for July - and I'm giving one of my subscribers the chance to win all of my favourites! Every single one! So if you fancy winning my monthly favourites, Including products from Huda Beauty, Anastasia Beverly Hills and Nip+Fab - worth over £130 - head over to my YouTube Channel, watch the video and then enter using the rafflecopter below. The revlon all in one, it looks fab and great if you haven't much time. My favorite product this month was my Dermablend Cover Creme, works wonders and covers every imperfection I have! It literally is my holy grail product. I haven't used any other foundation since I found it. It's non-comedogenic too so it doesn't clog your pores or create acne which I love! My July Favorites is the loreal infallible matte pro foundation! Loved your monthly favourites and am looking forward to trying some of your recommendations. But it would be even better to win them all!! Thank you for your generosity and your videos, I wish you a good journey. Reasonably priced recommendations, enjoyed watching. Thanks. My favorite product of the month has been Estee Lauder double wear concealer ... & I love your all July favorite products ..I really love the glow kit ..its my favorite . Such an amazing video & Giveaway. You look stunning. I commented my favourites over on your video.